Zanu-PF Secretary for Information and Publicity, Simon Khaya Moyo has challenged those claiming that the ruling party distributed army uniforms to some people who were involved in looting and robberies during last month's disturbances to come forward and identify the persons who gave them the uniforms. The private media last week reported that one Harare man, Shepard Magorimbo during a court appearance told prosecutors that he got a military uniform he used to terrorise residents from the Zanu-PF headquarters. It is a message that Zanu-PF has challenged, saying the arrested looters want to hide behind a finger to protect their handlers. "Zanu-PF abides by the rule of law, the open call for perpetrators to be identified and brought to book in accordance to the laws of the land and in line with and President [Emmerson] Mnangagwa's calls for peace and unity in the country and in the spirit of political parties dialogue which he kick started last week. 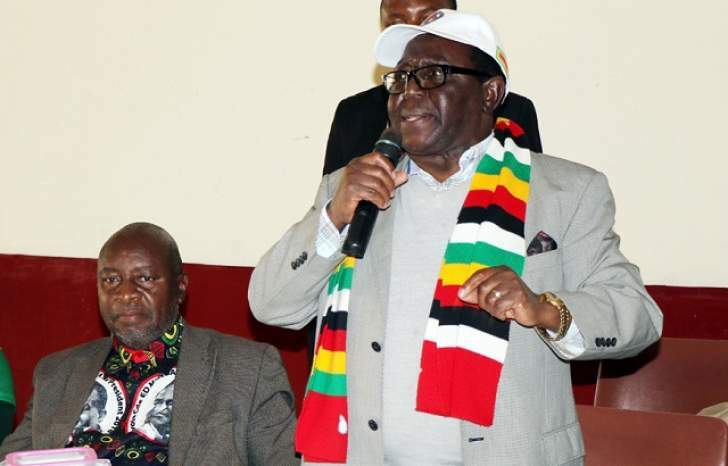 Those alleging that they were given army uniforms at the Zanu-PF headquarters must come forward and identify the persons who gave them the uniforms," said Khaya Moyo. According to the news article by the daily private paper, the culprit and his accomplices who were in army uniform committed a spate of robberies and in one instance forced their victim to reveal his Ecocash pin number, transferred $54 into their account and also took $94 cash, two Samsung and two Nokia mobile phones. The Zimbabwe National Army (ZNA) has on several occasions warned Zimbabweans against wearing camouflage or regalia resembling military uniforms as it is illegal in terms of the Defence Act.